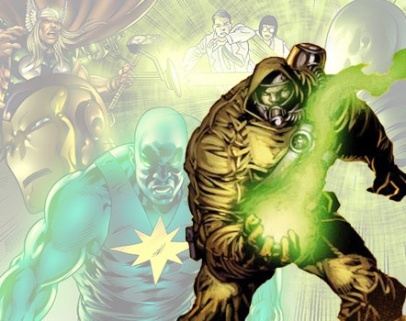 Radioactive Man is the name of two Characters from Marvel Comics..More about Radioactive (Marvel Comics) Character Review - keep reading !! Chen Lu was a normal human until exposed to excessive amounts of radiation, which changed his skin coloring to an iridescent green, and allows him to manipulate radiation across the microwave spectrum. Abilities include radiation emission as heat, "hard" radiation (inflicting opponents with nausea, dizziness, and radiation poisoning), and hypnotic light. He can also absorb nuclear radiation without harm and convert it to energy for personal use such as strength enhancement or to cauterize wounds, create force fields, and emit electromagnetic radiation to deactivate machinery. 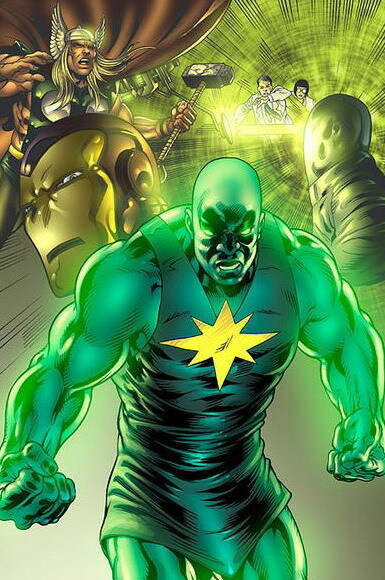 As the Character constantly emits radiation, he has limited human contact and wears a full radiation suit when in the presence of unshielded persons. As a member of the Thunderbolts, Chen comments multiple times how he is not radioactive and the suit serves no purpose. Norman Osborn requires Chen to wear the suit to reassure the public that he is safe and to disguise the fact that he is a foreigner. Chen Lu holds a Ph. D. in nuclear physics. Igor Stancheck has the same powers as Chen Lu. The Chen Lu version of Radioactive Man appears in the animated television series The Marvel Super Heroes voiced by Gillie Fenwick. The Igor Stancheck version of Radioactive Man appears in the Black Panther animated series, voiced by Rick D. Wasserman.